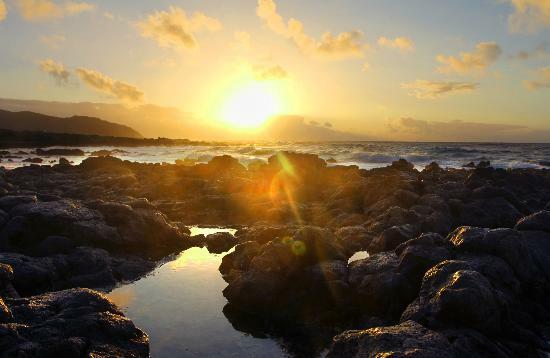 Even without snow and chilly weather (unless you make your way to the islands' highest peaks, Mauna Kea and Mauna Loa), Hawaii can still be a great Christmas destination. The islands are bursting with holiday spirits just like the mainland. 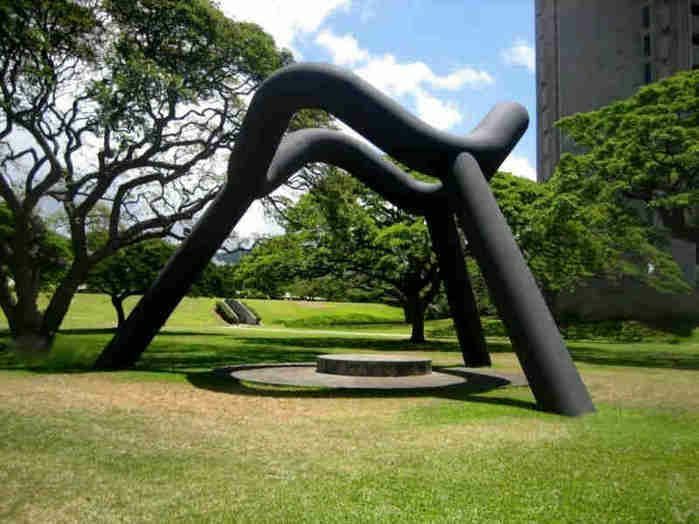 We list down unique holiday activities that are worth experiencing in Hawaii. This "snowman" will not melt! 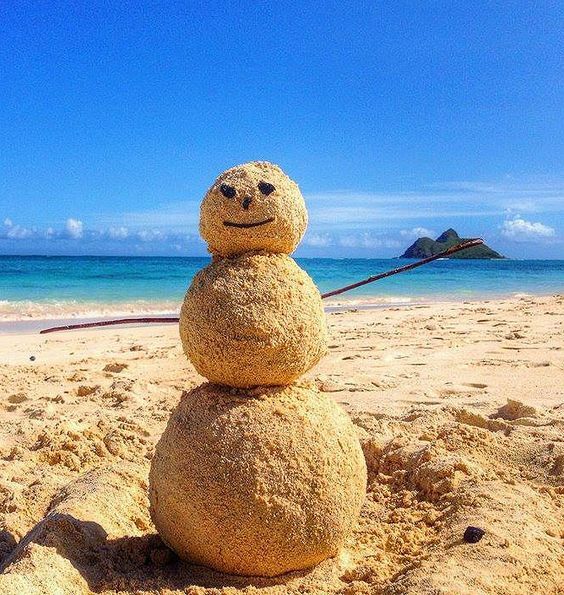 Make your own version of the customary winter effigies using sand instead of snow. Use twigs for arms, shells for eyes and pebbles for buttons. While it will not melt, it is a good idea to build it far from the surf so it doesn't get swept away by the tide. Depending on which island you are in, holiday-themed parades run on a daily basis as early as the third week of November! There are street parades and boat parades. Schedules vary from late mornings to early evenings. Just ask your local visitor center or hotel front desk for schedules. 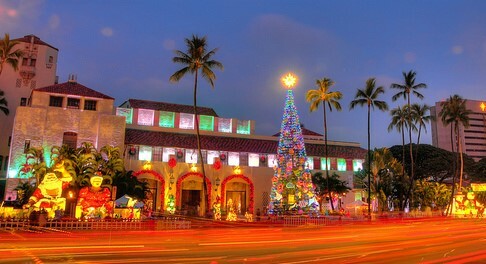 Honolulu's City Hall is all decked out for the holidays with colorful lights and holiday decorations. Outside the building is a massive Christmas tree and numerous Christmas tableaus including one with huge figures of Santa Claus and Mrs. Claus chilling out. The inside is not to be outdone with colorful decorations. Don't forget your cameras because there are lots of selfie-worthy spots here. 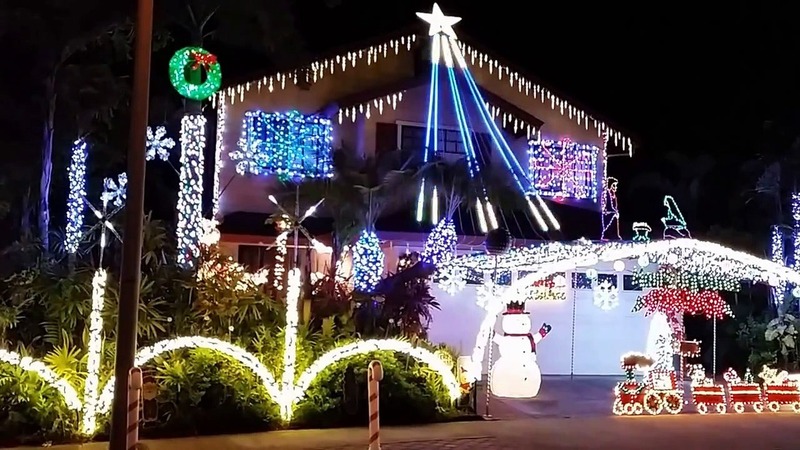 Several homes on Anapu Place in Waikele, Honolulu participate in a coordinated light show complete with holiday-themed music. The neighborhood was featured on the ABC special, "The Great Christmas Light Fight" last year. 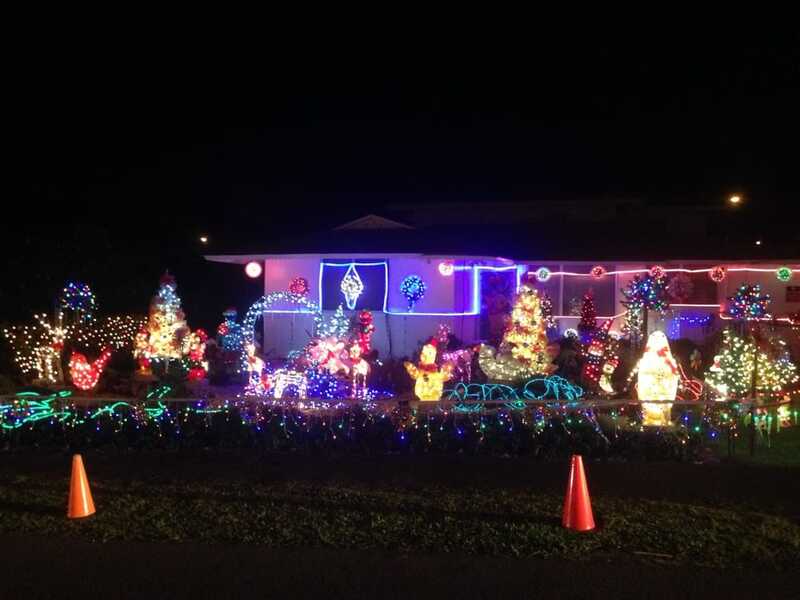 Namoku Street in Kane'ohe, Honolulu is another neighborhood that put up Christmas displays. In fact, the area has been nicknamed Christmas Lane due to several homes' vibrant holiday decorations. After visiting this lane, you will lie on your twin mattress bed at night and dream of beautiful Christmas lights, they will be stuck in your mind for days!! 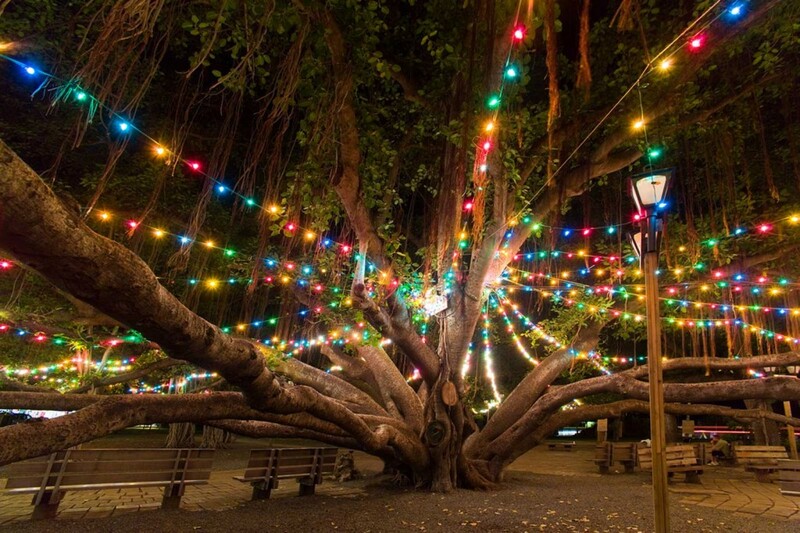 The magnificent Lahaina Banyan Tree, the oldest in the state, is decked out in colorful Christmas lights during holiday season every year. Sitting in one of the numerous benches under the lighted tree is simply magical. 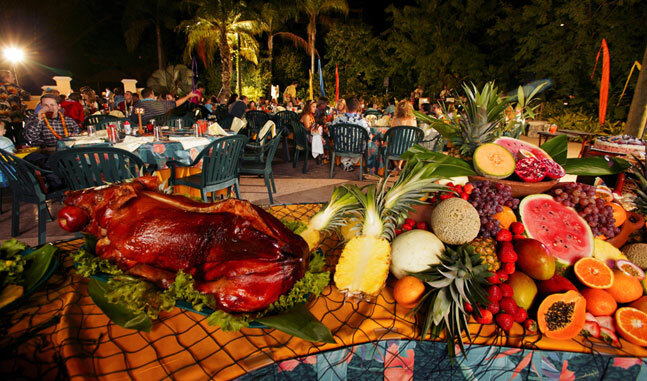 Celebrating the holidays in Hawaii is not complete without attending a festive luau. 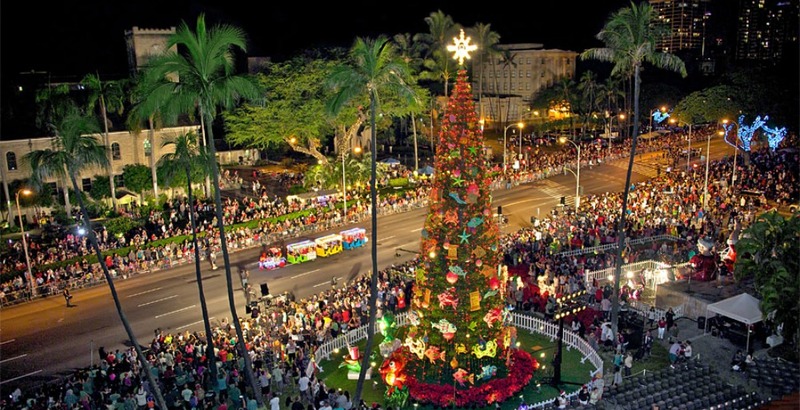 Feast on a kalua roast pig (in lieu of turkey or ham) and other local treats while traditional Christmas carols are sung in the Hawaiin language accompanied by a ukelele.